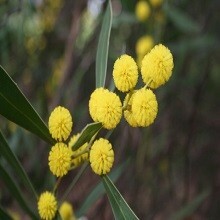 Acacia senegal, also known as gum acacia, is a deciduous tree or a modestly sized thorny shrub. In general flowering begins just before the rainy season when the leaves release the seeds at maturity. Originally from Africa, acacia senegal is very largely widespread in the regions extending from Senegal to Mauritania and in East Africa from Eritrea to Ethiopia. It is is also present in South Africa, in the Middle East and in Asia. We derive gum arabic from the exudates of the acacia senegal, which is used mainly in cosmetics and food products. It is used as an adhesive agent, mainly for improving the behavior of cosmetic skincare products. Acacia gum is also an excellent natural “firming” active ingredient which strengthens the skin. Its smoothing action is immediate and visible. It also allows us to improve the hydration of the skin and limit dehydration by forming an aqueous film (non occlusive) on the surface of the skin.